Showing results for tags 'striker'. My wonderkid striker has 15 for penalties and technique but it seems that he can’t consistently score penalties. He’s taken 5 penalties so far in the season and had only scored 1 (the other 4 have all been saved). I’ve had him on penalty taking for a couple of months during training but he can’t seem to score many. Is it just bad luck??? Thanks! Hey everyone, Looking for a wonderkid replacement for Robert Lewandowski who could make an immediate impact and is available at the start of the game. Your recommendations are appreciated. Thanks in advance, guys! Hi everyone, I am currently in my 7th season at Liverpool and I believe I have quite a strong squad at the moment. However, with most teams starting to park the bus against us, I am beginning to struggle with getting free flowing attacking moves going as I'm sure most others are as well. The problem I have is that play seems a bit too rushed but when I drop the tempo or mentality, I lose the penetration. It ends up with pointless and one dimensional crossing and shots from outside the box. I am winning consistently but the chances created are often not clear cut and the play is getting stale. I have tinkered around with various formations and trying to fit my best players but would now like to reach out to the community for ideas on how you would set up a tactic with all my best players (Mostly regens at this point). I definitely want to build the team around both Berard and Fernandes. Along with a peak Joe Gomez, TAA and Geubbels, I have quite a strong spine but just having trouble getting them to click. Any tips are appreciated! 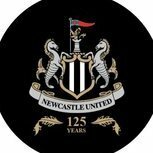 Hey guys, I'm coming up to the January window in my first season as Newcastle United and I'm looking for some suggestions for a striker to lead my line akin to the likes of Shearer. Obviously not on that level with the budget I've got but someone thats good all round and will do a decent job in the Premier League. Mitrovic is scoring albeit inconsistently, Gayle is always injured and Joselu couldn't hit a barn door with a shotgun!! As for budget I've got around £10m and £70k wages, but if someone get suggested I may try and ship off Joselu for whatever I can, possibly £6m? For many, Alan Shearer is considered to be the highest all-time scorer in the English top-flight. However, his total of 283 is only enough to put him fifth, behind vintage legends of the game such as Steve Bloomer and 'Dixie' Dean. The actual holder of the record is none other than Spurs legend Jimmy Greaves, with an amazing 357 goals. It's about time that record got broken! Will anyone be able to come close to Greavesy? To signup, I would like the following: Name: Date of birth (will be 17 at game start): Nationality & place of birth: Starting Club (17-18 EPL only): 2 high technical attributes: 2 high mental attributes: 2 high physical attributes: Up to 1 PPM: Favoured club: DIsliked club: Favoured personnel (and why): DIsliked personnel: All players will have a loyalty of 20, will favour their starting club and have Jimmy Greaves as an idol. I'll also give them career preferences to not want to play abroad and an adapability of 1 to try and stop them moving abroard. Good luck! Hi guys, I was just wondering what success people have had with different striker combinations. For example I've found so far that a target man/poacher combination works quite well for me. Most recently been using defensive forward/complete forward for my first season in the prem, and that at times worked pretty good. Is there a combination that has worked wonders for anyone? I usually play and advanced playmaker in the AMC position behind the front 2 also. Are you Danny Roberts incarnate? A Striker sign-up! I'm going to be the first to admit that I have no idea how this will go since I've never attempted anything like this before but hey ho, there' a first time for everything I want this to be as simple as possible so here's what I need from you guys (taken from toonbalmy's sign-up from last year and TheEarls sign-up) Name - DOB - You'll all be born in 2001 but you chose the day and month. Nationality - City Of Birth - Starting Club - Height - Weight - Favoured Foot - Person data attributes - Max total 100 points from the following: Adaptability, Ambition, Controversy, Loyalty, Pressure, Professionalism, Sportsmanship, Temperament Mental data attributes - Max total 175 points from the following: Aggression, Anticipation, Bravery, Composure, Concentration, Consistency, Decisions, Determination, Dirtiness, Flair, Important Matches, Leadership, Movement, Positioning, Team Work, Vision, Work Rate Physical data attributes - Max total 110 points from the following: Acceleration, Agility, Balance, Injury Proneness,Jumping Reach, Natural Fitness, Pace, Stamina, Strength Technical data attributes - Max total 165 points from the following: Corners, Crossing, Dribbling, Finishing, First Touch, Free Kicks, Heading, Long Shots, Long Throws, Marking, Passing, Penalty Taking, Tackling, Technique, Versatility 2 Favoured Clubs - 2 Favoured Personnel - 2 Disliked Clubs - 2 Disliked Personnel - Everyone will be starting with 80 CA and a -10 PA. Let the sign-up commence! I'll leave it open until an earliest of Sunday but may stretch to next Wednesday if we don't get enough people in. Who should I buy? I am coming to the end of my 2nd season with arsenal, won the title and lost cl semi and money is no issue, have 200 mill to spend. first two seasons Giroud has been sensational scoring 30 plus goals each season, now he is coming to the end and I need to replace him. My main back up striker is Dembele who has also been amazing and my 3rd choice is akpoom who hardly gets games ( only play 1 striker 4231). I have Max Romero on loan, I was hoping to have him join Dembele as main striker for next season but work permit has put an end to that plan. Dybala and Griezmann will cost me wages and fee similar Dybala younger and can give me good 7-8 seasons, looks like the best out an out CF in the game Griezmann can play left wing so i am thinking when Mex Romero gets his WP in couple of seasons, sanchez probably will be ready to be moved on so I can push Gruezmann to left wing and use Romero as a CF who should I sign? SIGN-UP Thread for The 1000 goals challenge I am going to run a little striker experiment in the coming weeks. So hope as many as possible will join for a sign-up here. Background story: FIFA is experiencing troubles with their reputation, scandals comes thick and fast, and the game of football is slowly loosing its fame and fortune. In an attempt to hype up the game, Infantino and his compatriots have made a Striker Academy to generate the next generation super stars to bring fame back to the game. Their quest is to score more than 1000 career goals in club and international football combined. Your task: Create one of these players (if there are few applicants I might allow two per person, but that will be announced later). All players will start with the same vital stats, but you should choose the attributes, name, country and starting club as per the lay out found below. There are some rules to stick by. - Players can be of any nation (I have Claassen's Mega Pack and might use any nation/league in that). - Players must start in a club of their own nation (However players from the following nations: England, France, Germany, Italy, Spain, Portugal, Holland and Brazil might NOT start in the Top Tier, but must start at a club in Tier 2 or lower. All other nations players can start at any club.) - All players will start with the same birth date, 17 years old, same reputation, same current and potential ability (135 and -10) , 2 years contract at their first club. What to fill out: Player first name: Player last name: City of birth: Nation: Club: Height: Weight: Person data attributes: Max total 100 points from the following: Adaptability, Ambition, Controversy, Loyalty, Pressure, Professionalism, Sportsmanship, Temperament Mental data attributes: Max total 215 points from the following: Aggression, Anticipation, Bravery, Composure, Concentration, Consistency, Decisions, Determination, Dirtiness, Flair, Important Matches, Leadership, Movement, Positioning, Team Work, Vision, Work Rate Physical data attributes: Max total 120 points from the following: Acceleration, Agility, Balance, Injury Proneness,Jumping Reach, Natural Fitness, Pace, Stamina, Strength Technical data attributes: Max total 215 points (including right/left foot) from the following: Corners, Crossing, Dribbling, Finishing, First Touch, Free Kicks, Heading, Long Shots, Long Throws, Marking, Passing, Penalty Taking, Tackling, Technique, Versatility, Left Foot, Right Foot We will be following several aspects of the players careers, like club moves, highest salary, highest transfer fee, which trophies they win, any awards. But all in all it will be goals that are the most important. Winner of the challenge will be the player who is quickest to 1000 career goals, or if none reach it the total amount of goals scored when they hang up their boots. Welcome everyone, and hope to see many entries.